Meetings are about to die. Particularly since collaborative work has become the staple of modern office life, they are about to die. And after they die, they will move somewhere better, virtual. Somewhere in the cloud, or in a special bundle of apps. But don’t get your hopes up high yet. After all, there have been attempts to put new life into meetings. Some preach against inherent inefficacies. “Make meetings purposeful”, they say. Others are deluding themselves that theater methods will do. So “treat your meetings like an improv session”, they say. Seems like everyone thinks that “The Office” is a documentary. That we should all turn Michael Scott and do some improv. The times are changing. And they’re transitioning from redundant to effective. This article will show you how to get your meetings ready for the new age. About half of people attending meetings are unhappy. They feel idle and would rather do actual work instead. Actually, anything other than having to sit there listening to Bob from accounting. For introverts, this is a special flavor of hell. You either contribute your 5 minutes of uncomfortable input because you have to. Or you have to listen to Bob from accounting talk your 5 minutes with nonsense. Meetings are the black hole of productivity. Wasting countless work hours on meetings, this needs to change. The numbers are high on this one, as some occupations spend as much as 2/3 of their work hours in meetings. In fact, meetings are where enthusiasm goes to die. Still, meetings are also necessary. Collaborative teamwork demands meetings. This is how you get to piece together work. Also, it’s how you plan future work. And how you segment work and delegate. To be fair, there is a reason meetings are furiously losing the battle. It is precisely because they try to cover so many needs. And covering so many needs is taxing on the process. Don’t stumble on the wrong word there. It means there are two compartments. I stole it from pharmacology. There, it helps explain concepts that have to do with drugs and medication. Meetings should be like medication. The exact dosage should be science. Hence, “this is a 1 hour meeting”. The frequency of administration should also be science. Thus, “we have a regular meeting on Monday”. Everything should be clear. What it is, what it does, what it fixes, and how. Meetings should also make things better. They should treat the symptom or the cause or both. And they should work seamlessly. Good medicine makes you feel better. You get to solve problems with good meetings. Great medicine makes you feel like you’re not taking any medicine. Hence, meetings have two compartments. The rational and the emotional. The rational compartment of a meeting delivers clarity of purpose. For example, “We’re meeting to solve problem X”. And it goes further than developing a sense of purpose. It fixes an agenda. Either lists the matters that are to be discussed. Or asks participants to add to the agenda. In fact, this is both convenient and useful, having participants… participate. It provides meeting objectives. And it does so from the very beginning. “Here are the objectives of our meeting”. Also, they are measurable, identifiable. And by the book. In the rational compartment, everything is clear. Things start at a certain hour, they end at another. While this is something everybody wants, it’s also what they need. In the emotional compartment, meetings are like high school. There’s a class full of people, and a full range of possibilities. Some are talkative, others are quiet. Some are good with computers, others with people. Also, you have those that are good with using computers to talk to people. There’s room for every passion and every possibility. There might also be little interest to cooperate. Probably because everyone feels like in a prisoner’s dilemma. People are deeply preoccupied with appearances. Nobody cares to cooperate and do meaningful work. Rather, they tune into a different frequency. And this frequency is one of odd team dynamics. That is something you need to control. The emotional compartment engages people. A lot of advice is focused on this compartment. Because it’s a class-room driven compartment. People will give you 5 minutes at most, so you need to catch their eye. Don’t be boring. Yet, these adults you’re talking to are there for work. Entertainment is optional. And being entertained against your will doesn’t really work. Imagine being there with work, and having to wait for all the overhead nonsense. On the other hand, other people love nothing more than the fun nonsense. Overall, the issue is that you can never make everybody happy. And when you can’t make everybody happy, you might as well let them make each other happy. This is how you blend new tech and old principles. In a way, it’s a lot like gardening in space. With an instant team collaboration tool like Hubgets, you can do all sorts of things: one-to-one and group chat with file transfer and screen sharing, voice and video calls, tag and forward messages and resources. Hubgets also does a lot of things on your behalf so you can focus on work and get things done: it keeps you on the same page with the team through real-time updates, centralizes information automatically, instantly retrieves old messages and shared resources, knows when you’re too busy to be disturbed and keeps you safe from annoying notifications. All in the browser, without having to install any software. It’s magic! Going back to meetings, firstly you can use instant collaboration to make them redundant by keeping everyone constantly informed. 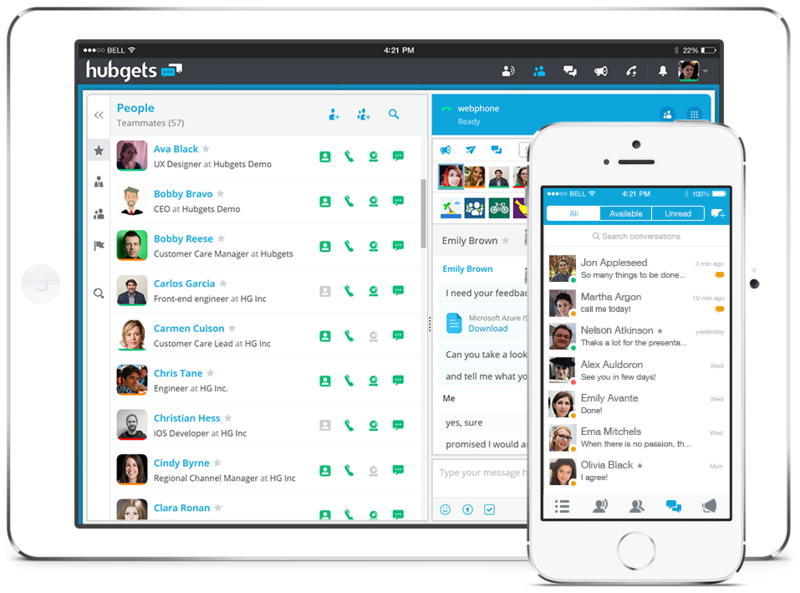 Hubgets Topics are collaborative group chats tailored exactly for that purpose. While all team members are getting information on the go, a lot of meetings become unnecessary. Secondly, people like to contribute to various topics and share what they know with others. And others simply like to read through without contributing. If they have the tools to do it, they’ll do it without wasting precious work hours. Lastly, taking the bulk of subjects out of meetings clears the air and allows you to focus. And focus brings forth clarity. The best way to proceed is to solve the rational compartment issues before a meeting. And deal with the emotional compartment later on. Go crazy. Talk to yourself and clarify a few things. Firstly, define your status quo. Briefly state or describe the current situation. Secondly, define your end-game. Try and briefly state what it is you want to achieve. Thirdly, connect the dots. Establish a process that gets you from today to your target. Lastly, establish milestones. Think of what those dots are, what they represent. Now, it’s time to engage your team. Ask them to go through the same process. Ask them the right questions. Now establish baselines. Your team sort of know where you are. They are smart, they know where you’re heading and what the milestones should be. On average, their collaborative input is the best thing ever. Also, you can show them nice graphs with the data you gathered. Everybody loves seeing data about themselves. They will be 100% in your slides. And more, they will already know 80% of what it’s all about. They’ve also worked on it. Which means that you get to go through it a lot quicker. Data gathering of all kinds can be part of your daily activities. Know your team better so that you can create more efficient interactions. Know what they like, what they don’t. And get them in deeper by asking the right questions. Now imagine you have all of this functionality integrated in your browser. This is 100% allowing you to boost your rational compartment and cover most of the work in it. You now have some data about your team and you’ve engaged their interest. You need to select what you’ll actually focus your meeting on. Take the matters you need to address and ask people to contribute a bit, to further develop Topics. Very soon, you’ll see an organic brainstorming happening. People will be able to instantly share screens and resources that can be instantly accessed by all participants. Get the right people to work on the right topics at the right time. You have the technical means. Water those ideas you want to grow. And trim whatever needs to be discarded. Only discuss about stuff everybody’s ready for. And because you trimmed and watered selectively, you’re only discussing issues worth discussing. Also, this is a compartmentally balanced step. Team members love to work on projects they find meaningful. 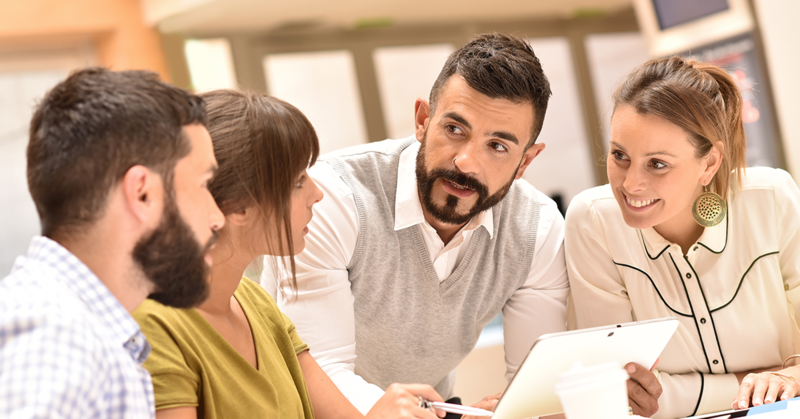 You used collaborative tech and allowed your team to develop the content of your meetings. Now help them grow and shine. You’ve clarified your objectives and pursued them in every regard. You’ve had online meet-ups and all sorts of interactions. Perfect! Do you still have a need for an actual meeting? Great. It’s your opportunity to admire the stars. Start by congratulating those members that contributed a lot to Team Topics. And those who helped trim the issues down to only a handful. Pay special attention to the introverts, online is where they find it easier to voice out. Now you can insert the extroverts. Also known as the attention seekers. Ask them to do “bits” while you have them present core issues. Next, engage core-team members. Ask them to moderate. Have everyone there involved 100%. Actors watching themselves act in a play they wrote and directed. Spectacular! While you are using some combination of tech solutions for your meetings, you are clearly missing out. Integrated solutions are amazing. Reducing the number of work hours your team wastes in unproductive jibber-jabber is amazing. Having teams run meetings is the future. Also, check out our comprehensive ultimate meetings guide.